The team at Voicebrook is responsive and understands the needs of its customers. Voicebrook employees have decades of experience in providing speech recognition reporting solutions to healthcare clients across North America. We have successfully completed hundreds of projects of different sizes and complexity in various business and technology domains, and specialize in pathology laboratory reporting. Capitalizing on the accumulated experience, Voicebrook provides the most complete and successful pathology reporting solutions. Our rich business domain experience in pathology enables us to speak the same language with customers and understand their business needs easily. Our knowledge extends to all aspects of pathology reporting and enables us to create complex integrated workflows that are simple to use and interact with in a laboratory environment. This knowledge and experience help us save clients' precious time and money and deliver the right solution for every specific situation. Our unique competence with speech recognition technology, reporting tools and deep understanding of Anatomic Pathology systems enables us to deliver integrated, scalable, robust solutions with the optimal cost/performance ratio. Our research team constantly conducts research on new technology products to meet the ever-growing customer needs. Delivering exceptional business value to clients is the primary goal at Voicebrook. This requires more than just focusing on the software development process. 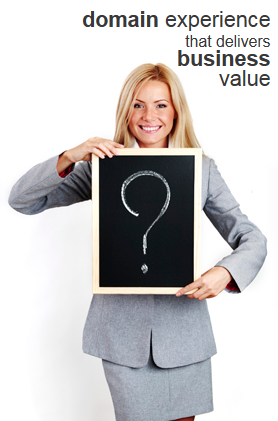 This way we can offer our clients technology solutions that add real value to their business. It's simple - we understand that our success is measured by the success of our clients. Our clients show dramatic ROI and improvements in turnaround time, while reducing patient errors and standardizing reporting processes. We never compromise the quality of our software and services. Our team monitors project activities at all phases and is constantly looking for ways to improve our software and processes to ensure the highest quality solutions and satisfaction with our approach. The quality of our people makes us stand out. We hire and retain only the best professionals. At Voicebrook we set up a thorough personnel selection process and a challenging environment to grow and improve our large resource pool of top-notch experts. Voicebrook follows a proven implementation methodology on every project we undertake. We develop and implement the best industry standards and practices depending on project size and complexity. These standards and Voicebrook's experience guarantee outstanding results and allow us to better serve clients with regards to cost, quality and project timeliness. We never stop improving our services, including development technologies, engineering practices, project management methods and QA standards to improve team capabilities and increase customer satisfaction. Voicebrook is a client-centric organization. We make it our business to understand and help our clients to achieve their business goals. We encourage clients to offer feedback - both good and bad, so that we can improve our product and methodologies, and learn more about how to cater to the specific needs of our pathology clients. We thoroughly study each customer's unique requirements. We engage a dedicated team of business analysts to uncover and address client specific objectives and needs and tailor the solutions that meet them. We understand that effective communication is crucial for success of any project. We establish a productive customer communication environment and are proactive in soliciting feedback from our clients through all stages of their projects. Why the Voice of Choice? Find out why CAP TODAY named Voicebrook the "Voice of Choice" for laboratory speech recognition reporting.